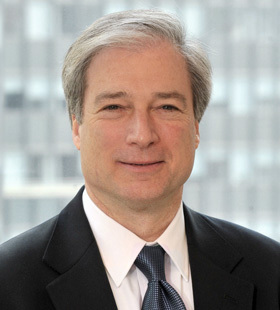 Richard M. Aborn is president of the Citizens Crime Commission of New York City, a non-partisan non-profit organization with multidisciplinary expertise that works to improve public safety through innovation. At the Crime Commission, Mr. Aborn advances strategies to improve the justice system, strengthen gun policies and practices, prevent youth gun violence, and prevent cybercrime. Under Mr. Aborn's leadership, the commission has been instrumental in passage of several laws in New York including legislation to expand the use of DNA evidence to convict the guilty and exonerate the innocent, a comprehensive gun violence reduction package, known as the NY SAFE Act, and legislation increasing the penalty for carrying an illegal loaded firearm in the state. Steve Velasquez is an experienced Operations Manager and has worked extensively in the non-profit and public interest fields for many years. He previously served as the Assistant Director at the Hudson Valley Justice Center and has served as a staff member at My Sisters' Place and Legal Services of the Hudson Valley. Steve received his graduate degree in Public Administration from Mercy College and his bachelor's degree from John Jay College of Criminal Justice. Steve is fully bilingual in English and Spanish and serves as a youth soccer coach for the White Plains Youth Soccer Association. As the Program Analyst, Ms. Greco works closely with community-based organizations as well as state and city partners to ensure data quality, data usage and accurate program evaluation. In addition, she contributes to the development and strengthening of tools, curriculums and partnerships to help transform the lives of young people. She has dedicated the past 5 years to working with legally-involved and high-risk youth in multiple capacities such as research, direct service and technical assistance. Prior to her work with the Crime Commission, Ms. Greco has worked on a national study examining the effects of the juvenile legal system on youth and has been an assistant lab manager for an evaluation study of an evidence-based advocacy intervention for legally-involved girls. In addition to her work with legally-involved youth, she has research experience with LGBTQ identifying youth in the foster care and juvenile legal systems. Over the past two years she has focused her research on institutional betrayal and victimization experienced by legally-involved girls in the legal system, creating a self-report measure to assess such experiences for her master's thesis. Ms. Greco earned a Bachelor of Arts degree in Psychology, with a minor in Criminal Justice from Temple University. She also holds a Master's degree in Applied Psychology, with a focus on human development and social intervention from New York University. Claire received her BA(Hons)/MA Cantab in Politics and International Relations from Trinity College, Cambridge University. Subsequently, she received her MA in International Relations from Columbia University, specializing in Security and Counter Terrorism. Her classes included Modern Urban Terrorism, Terrorism and Counter Terrorism, National Security Strategies of the Middle East, Middle East Conflict and Global Security, Intelligence and Special Operations, and Central Issues in American Foreign Policy. Prior to joining the Citizens Crime Commission, Claire worked with the Eastern District of New York as the Program Director for DEEP (Disruption and Early Engagement Program). As Program Director, Claire worked with EDNY and the FBI as the government's private partner, working on terrorism prevention and early intervention. Claire has presented on terrorism prevention and early intervention at Harvard Law School, the Brookings Institute, the National Counter Terrorism Centre and the American Jewish Committee. As the Associate Program Director, Ms. Prudencio works closely with the Cure Violence sites to develop meaningful pathways towards a better future for their participants. Specifically, she creates tools and partnerships that help young people build skills and experiences that facilitate career-based employment. Prior to joining the Crime Commission, Ms. Prudencio was a Special Assistant for Policy Development at the New York State Department of Labor. In this position she worked on a number of employment initiatives aimed at connecting jobseekers with barriers to employment opportunities. She has over a decade experience working with community based organizations and local government, serving a widely diverse population, including the elderly, homeless youth, LGBTQ, formerly incarcerated, disconnected youth, farmworkers and immigrants. She has provided technical assistance to numerous community programs, advocated for changes and improvements to outdated social service programs, and has travelled throughout the state doing outreach on the various projects she has worked on. Ms. Prudencio holds a Bachelor of Science degree in Political Science and International Studies, as well as a Master's degree in Social Work and Public Administration. As the Director of Violence Prevention, Ms. Ueberall provides the Crime Commission with expertise in research and analysis concerning youth violence. Her career is focused on creating effective programs for youth involved in the juvenile and criminal justice systems, and has worked with probation offices in New York and California, along with other government agencies, academia, and numerous non-profit organizations. Before beginning her work with the Crime Commission, Ms. Ueberall was the Senior Program Analyst for Esperanza NY Inc, where she provided technical assistance and analyzed processes utilized by NYC Probation. Ms. Ueberall was also the Research Coordinator for a feasibility study run by the University of Massachusetts Medical School, where she developed research designs and protocols for a national study on Transition Age Youth. Ms. Ueberall strongly believes her direct service work led to her deep understanding of court-involved youth. She acted as a research interviewer, crisis counselor, and facilitated cognitive-behavioral therapy groups and academic achievement curricula. She earned a Bachelor of Science degree in psychology, with a minor in Spanish from the University of Arizona, studying abroad in Oviedo, Spain. Additionally, she holds a master's degree in community psychology, with a concentration in program development from the University of New Haven. Originally from Yonkers, Ms. Ueberall is proud to be serving NY youth.